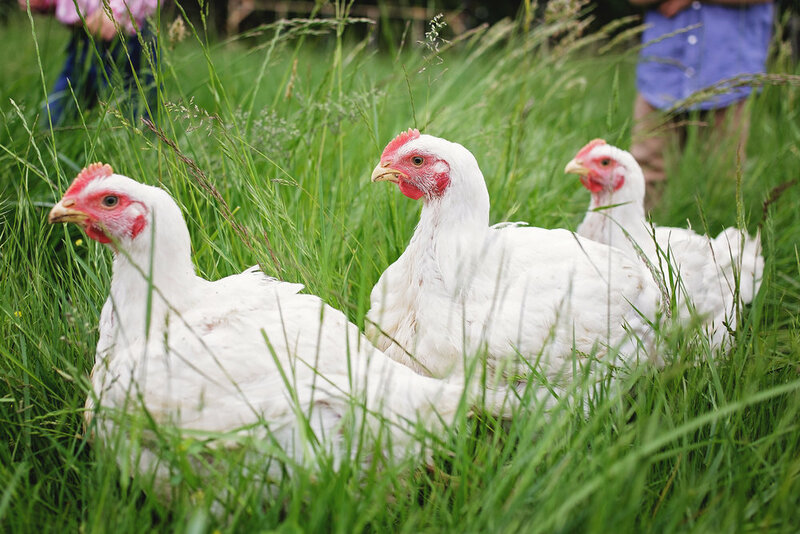 Our chickens forage for grass and bugs and do a great job of fertilizing and lightly tilling the soil to enhance our pastures. They enjoy a diet free from corn, soy and GMOs! Our chicken is moist and absolutely flavorful- not dry and tasteless like store-bought chicken. We sell our chickens by the whole as well as by the cut. We have breasts, thighs, legs, wings, backs, necks, livers, feet and hearts. We raise chickens spring and fall, so come by our farm store to pick some up!